NORMAL – A supporter of Unit 5’s former director of human resources said Wednesday the allegations of workplace harassment that led to his resignation are the result of vicious lies and rumors. Melinda White said she’s an acquaintance of James Harden, whose alleged misconduct came to light last Friday when public radio station WGLT published a story on its website. White attended Wednesday night’s Unit 5 school board meeting at Normal West High School, sitting next to Harden’s mother, Mary. “Every charge against Dr. Harden was an all-out lie, which led to a false conclusion,” White said. White was one of three people who spoke to the board during the public comment portion of the meeting. She said Harden accepted a buyout and non-disclosure agreement because he was under pressure from accusers who wanted to ruin his career. According to White, Harden is a man of “impeccable” character. Political activist Jodie Slothower said Unit 5 has a long history of not knowing how to address bullying and harassment. 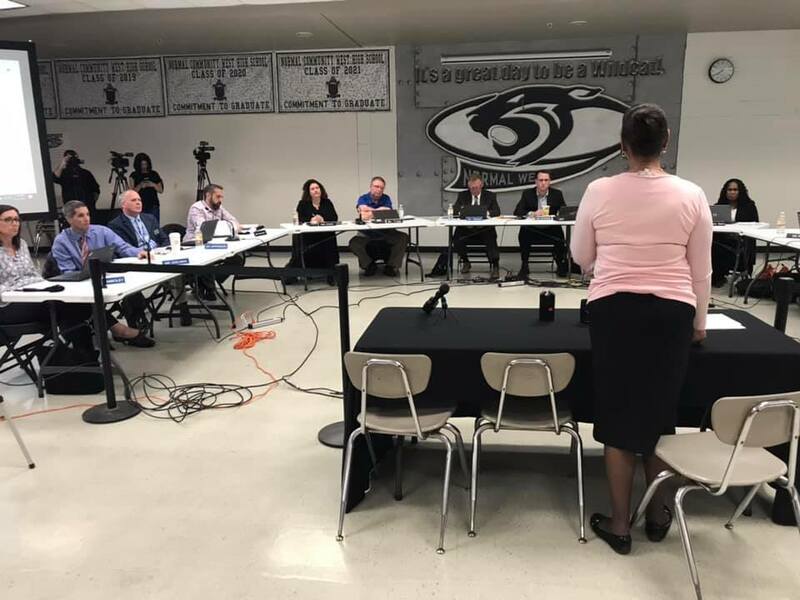 “I worked for some of you to be elected on this board, and I’m disappointed that I have to be speaking here reminding you that Unit 5 should have a policy of no harassment, of no bullying of anyone, no matter who they are, and that you should be able to carry out that policy,” Slothower said. Local NAACP member and former Unit 5 Citizens Advisory Council member Jerry James asked for the whole truth to come out, not just partial information. “A lot of things are being said without a full explanation of exactly what happened, without the other side of the story being told,” said James. “I think it’s absolutely critical, if you’re going to impugn the person’s reputation, that at least all the information is out there so people can make a sound judgment about exactly the behavior that everybody’s talking about,” James also said. Unit 5 Superintendent Mark Daniel declined comment, citing confidentiality when dealing with personnel issues.